The first press conference for the 2007 Toronto International Film Festival kicked off this week, and it’s already got me excited for the festivities to come. Waiting for the festival is kind of like waiting for Christmas Day, except it lasts for like 10 days. 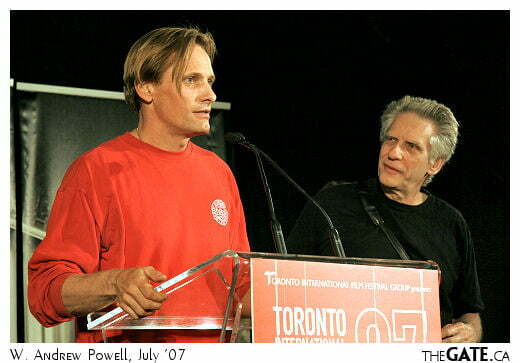 On-hand this year for the press conference, which announces all the Canadian titles that will be screening at the festival, were Viggo Mortensen and David Cronenberg for David’s new film Eastern Promises. Personally though I was more excited about films like Silk, by director François Girard, the comedy Young People F*cking by Martin Gero, This Beautiful City by Ed Gass-Donnelly, and Just Buried by Chaz Thorne. On top of that there’s just 48 days left until the festival kicks off, so I’m starting to realize I’m not only excited, but I’ve also got to start planning interviews, photo sessions, and setting up the site for everything. Stay tuned folks – a lot more to come.